10 Things To Learn When Everyone Is Getting Married! 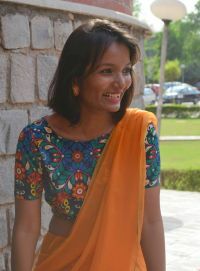 If you are a twenty-something, single girl living in India, chances are that you have been asked the dreaded, ‘Beta, when are you getting married?’ question more than once. As if that wasn’t exasperating enough, you have suddenly found yourself being surrounded by either the soon-to-be engaged or the ‘happily married’ couples. They could be your colleagues, or your cousins, or even your best friends! And through all of this, you've definitely realized there are some things to learn while everyone else is getting married… Here are a few of them! Read. Travel. Volunteer. Get to know about who you are as a person. Remember what they say about learning to love yourself before you can love anyone else? It's totally true! And do them on your own. Years of societal conditioning has brainwashed us into thinking that we can have a successful career or take a trip around the world only with our significant other by our side. Well, you can and you totally should make things happen for you. It is great to have someone to share these experiences with, sure, but just because you don’t have an S.O., it doesn’t mean that you don’t get to enjoy these experiences on your own. Marriage changes people. That is the harsh truth. Your married friends will have a whole new set of responsibilities to deal with and may not *always* have time for you. With that being said, you can rest assured that when you really need them, they will be there for you, like they have been there before. A lot of us are in love with the idea of getting married... But there is a whole new world that will await you once you’re done preening in that Sabyasachi lehenga. It takes a lot of effort to make a marriage work. And here’s where your married friends will come to your aid. Talk to them about all your concerns about marriage and see if you are ready to make that level of commitment just yet. And it's totally okay if you aren't! Being alone is in no way the same as being lonely. When you learn how to be alone, you stop depending on someone else to make you happy, because you figure that out on your own. You learn that a life partner won't make you happy per se... But that it would just be nice to share your happiness with them. Nobody can ever complete you, at least not in the way they show in Bollywood movies. It is your relationship with yourself that truly completes you. Marrying someone who loves all of you? Now, that's something you can look forward to! With no husband, kids or in-laws to take care of, you’re only going to be responsible for yourself. Use this freedom to be fabulous and do everything you ever wanted to do! Yes, it is going to be difficult to be the only one sitting at the singles’ table when all your friends are married. But that is no reason for you to take the plunge! Get married only because you want to get married to the person you want to get married to. And certainly not because your ‘biological clock’ is ticking.